DevOps is not a new concept, and it’s not unpopular either. Yet, in order for financial institutions in Europe to reap the potential of a philosophy that, since 2008, has been making software more efficiently, someone needs to demonstrate what’s in it for them. 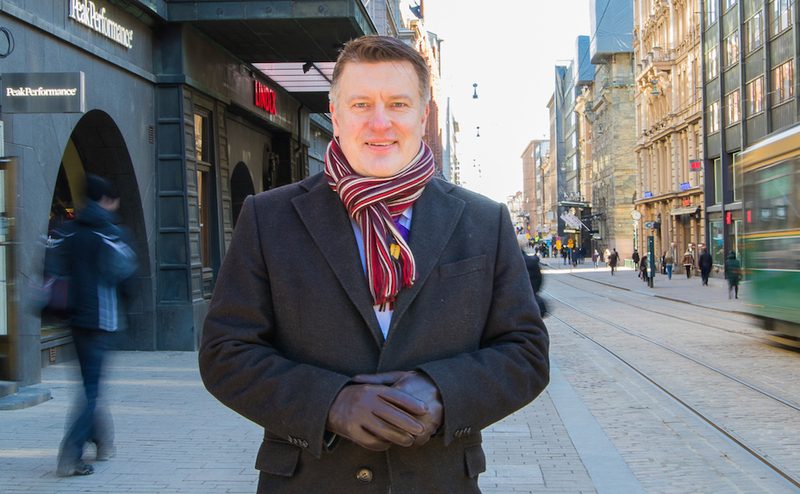 Petteri Ahonen is Eficode's Country Manager for German-speaking Europe. Nobody has time to waste in an ever more complex global economy where fluctuations are extreme and the rewards, and risks, are greater than ever. This hyper-interconnected and complex web is, however, also the reason why the teaching of DevOps is metaphorically knocking on the door of Europe so very loudly. No matter the industry or geography, every business is trying to improve their time to market and their ability to respond to changes in that market. In the finance industry, with financial technologies disrupting the status quo and with institutions hungry for AI revolution gains, the need to swiftly respond to changes by producing new software more quickly is placing significant pressure on IT departments. Given every institution is chasing after the gains that DevOps promises – faster time to market and cost savings – the question should not be whether what DevOps is offering is attractive. Instead, the industry should consider what DevOps, and the individual approaches that sit within the wide umbrella term that is DevOps, has to offer in terms of achieving those results. In order to understand what DevOps is, it’s prudent to start by talking about Agile, another grab bag of software development methodologies which has roots older than DevOps. Before we set off, an important piece of context to consider is that, these days, it’s not just banks that are making use of software. With the rise of software as a cornerstone to the entire business cycle, most businesses, no matter what their industry, are software companies. Diving into the broad strokes of the technical aspects of how software is created makes sense for any business leader, because it gives them insight into one of the key drivers of competitive edge. The top four most high-valued companies in the world – Apple, Alphabet, Microsoft, and Amazon – have all built their base on building software. Let’s get back to DevOps and its roots in Agile. DevOps first appeared as a term in 2008 in discussions about ‘agile infrastructure’. Agile is an ideology which has been widely adopted across the world because it gets software made faster. The approach shifted away from planning-heavy processing (‘here is the blueprint for the software I need you to develop for me’) to a more collaborative and iterative approach, which gave teams the freedom to develop software to meet the purpose needed to be achieved by that software. Agile sees software be developed in short bursts or ‘sprints’, with the end goal re-evaluated at the end of each sprint. DevOps as a movement sought to take Agile a step further. Agile spoke to the development of software but the teachings ended there. There was a need to move beyond that to ‘agile infrastructure’ in order to smooth over the transition between creating a piece of software and running it successfully in its IT environment. The British bank, TSB, made headlines with a disastrous migration failure in April 2018, which meant some customers were unable to access their bank accounts for more than a week. This is but one example of expertly crafted software not working in reality as it should in theory. This leads us to a definition of DevOps: DevOps is a practice which effectively creates software that works. As a term, it is incredibly broad. In its early days, DevOps was often understood to mean the combination of Development and Operations, two previously separate departments, into one effective team. By literally inviting the ‘Operations Guy’ into the fold during the development of a software development, lots of issues are prevented and your software stands a better chance of running successfully. The Operations Guy joining the team shows how DevOps represents a cultural change: developers can’t leave operations matters to the operations department which is in charge of running software. Instead, they both need to share the same responsibility. In DevOps, nothing is left to be dealt with later as ‘someone else’s headache’. This is one of the cultural shifts that companies experience when they undergo a ‘DevOps transformation’ and it radically decreases time to market, even if the process of getting there can hurt a little. Another aspect of effectively creating software that works (aka DevOps) is the removal of waste. This includes the automatization of repetitive tasks and speeding up every stage of the software making process. In that sense, DevOps has not only inherited principles from Agile but from LEAN manufacturing, too. At its easiest, DevOps is a freeform experimentation with new tools, where individuals teams in companies having the freedom to choose between tools, and try out new options. This freedom is not an option for many institutions in the finance industry. Legacy ICT systems lead to a diverse and complex starting point for renewal. These systems are often brittle in that they are resistant to change and prone to breaking – TSB is a case in point here. That very same brittleness hints at the value of DevOps for the finance industry. There is a dire need to make the infrastructure less brittle and more malleable. One way this can be done is through virtualization. Virtualization is the practice of, instead of connecting systems directly to each other, “virtualizing” them so that you can interchange one system for an alternative without the entire interconnected system getting impacted. Virtualization consists of a wide variety of techniques to decouple the systems so that they are not so tightly bundled together. “Containerization” is a technique to implement virtualization, to name one. A “software production line” or “pipeline” is another keyword for banks looking into DevOps. Just as manufacturing has long since moved to using assembly lines, so too software development is seeing a shift from a more artisanal approach to an assembly line formation. In the context of software development, an assembly line is a series of tools used by developers for each of their projects. Such tools can be used across large banks with thousands of developers and with cross-departmental considerations. They give the advantage of making outsourcing easier, provide oversight of organization-wide metrics, and save time with easy user access. Pipelines are key to any company that makes software wishing to progress and reap rewards from DevOps. Including banks. OP, one of the largest finance companies in Finland, has experienced what it is like to have “a river out of streams” in the form of an automated pipeline used by many teams. With over 2,000 developers working customer-facing apps and software for business solutions, and the need for their software production line to be online 99.5% of the time in order to run their business, OP outsourced their software production line to Eficode, a DevOps consultancy with Nordic roots, choosing a software production line as a service option so that availability was no longer their headache. They can now look down on their software production process and see where the bottlenecks are and where processes are running smoothly. The sheer number of developers employed by the bank communicates the value that software has for the success of their business, and the need to make it as efficient as possible. What is the future of DevOps in the finance industry? It may be a tech cliché, but you can’t talk about the future of DevOps without bringing AI into the picture. Thankfully, AI is not a chimera in the distance for the finance industry. Instead, banks are very much leading the way here. Common uses of AI in this setting include chatbots, extracting key data points from documents, and even trading. Where AI loops back to DevOps is that AI too consists of software, and to be able to develop AI-related software more effectively would allow institutions to reap the rewards of AI faster. Another interesting DevOps-related repercussion has to do with regulation. Financial institutions are miles ahead with their ability to competitively handle regulation, GDPR included. In a sector where compliance issues are pronounced and everything needs to be auditable, to have full visibility over your software processes thanks to a software assembly line is priceless. Increased oversight is one of the key rewards DevOps dangles in front of finance sector IT departments across Europe. The brittle and unavoidable nature of legacy ICT systems that many banks are wrestling with means it’s no wonder that a common-sense methodology like DevOps, the natural successor of Agile methodologies, is knocking on the door of more than one institution. DevOps is about creating working software more effectively, despite the unique challenges faced by the finance industry. Over a decade into the adventure that is DevOps, tooling that can be considered modern is well battled, including in the finance industry. Only a little bit of innovation is needed to solve the unique challenge posed by the ICT stacks of specific institutions. 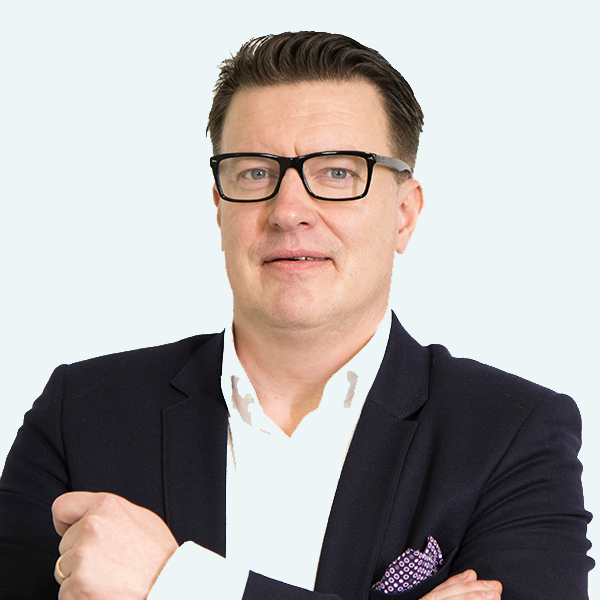 Petteri is Eficode's Country Manager for Germany, Austria, and Switzerland. You can find him on Xing and LinkedIn.